Organisations report an ever-increasing battle to find and retain the talent they need to drive their business forward. 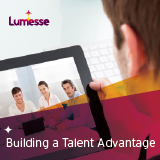 What can you as an organisation do to ensure your talent pool meets your needs? Be proactive. Be forward thinking. Be agile. Develop a solid, yet focused, corporate workforce strategy that covers all aspects of your current needs and anticipates future demand. Know what skills you need now, what you will need in the future and how to get them. Enable globally co-ordinated, locally optimized recruiting, including permanent and contingent.